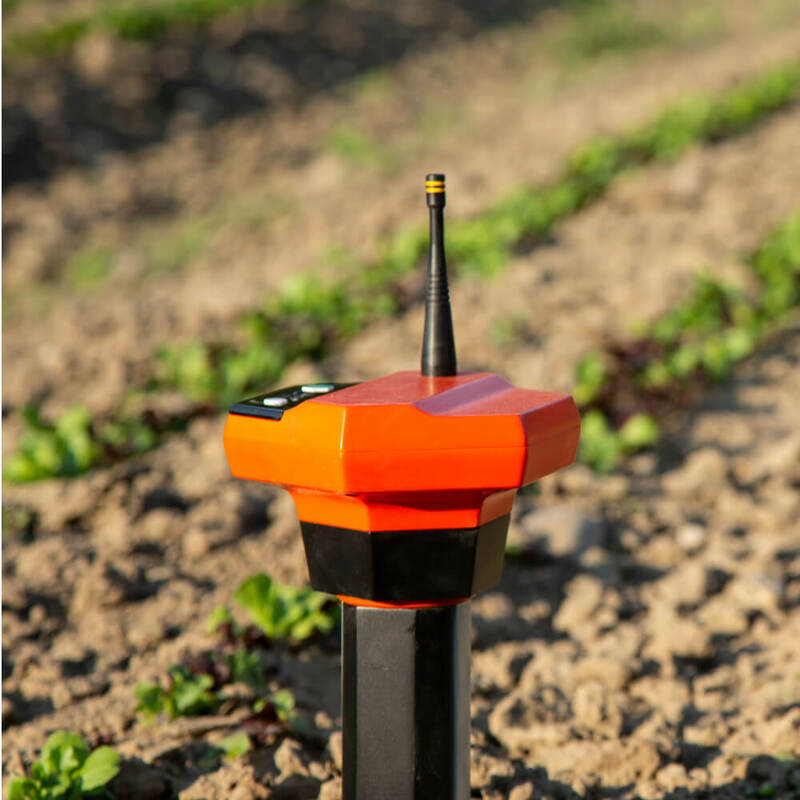 Get the most detailed soil quality data available, via a single probe with 26 sensors reporting soil moisture, salinity, and NPK at three different depths, as well as aeration, respiration, air temperature, light, and humidity. No wires. Nothing to catch or snag. Easy to install and built to stand up to the wear and tear of your farm. 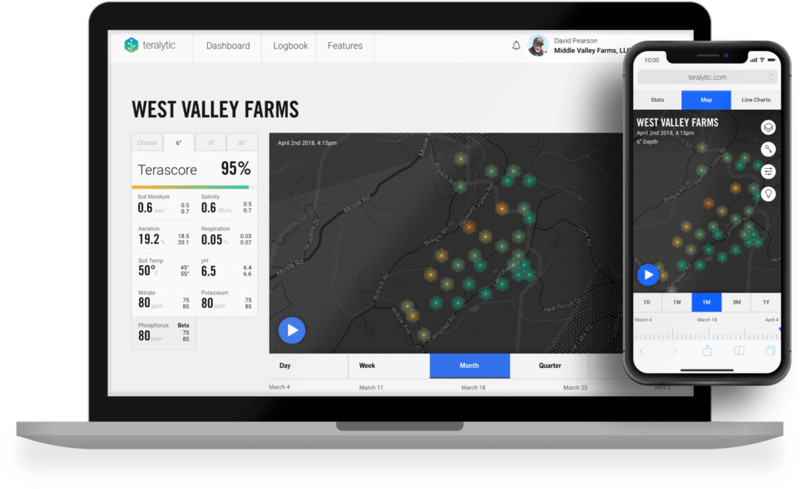 Manage your soil quality, from the top soil to below your roots with precise control and strategy recommendations customized to your crops. Diagnose problem areas and compare soil between zones. Match fertilizer supply with demand, saving money and increasing yields while improving soil health. See your soil data how you want to: every fifteen minutes, each day, week, month, or season. 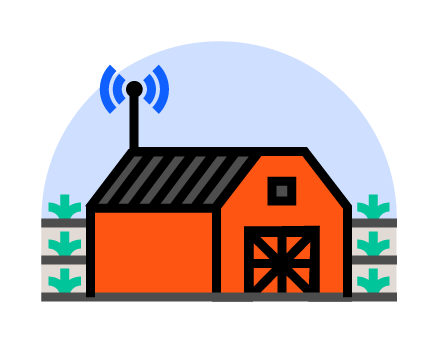 Get alerts when sensors detect poor soil conditions for your crops, so you can take proactive measures before problems occur. Gain insights on your soil's fertility, now and into the future. Our network allows for minimal wiring and maximum reach. No Wi-Fi or internet connection needed. How many probes do you need? 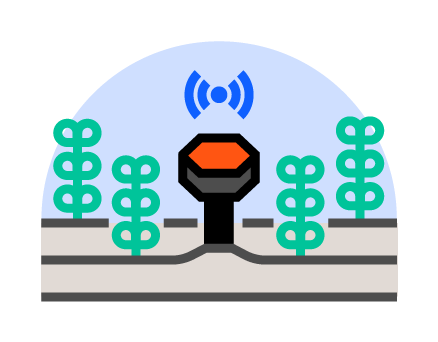 Use our onboarding tool to find out, free - no purchase necessary. Questions, comments, or just general interest - all inquiries welcome. First name is required. Last name is required. Acres Please enter a number (no commas or decimals). Crop Type(s) Please enter your crop type(s).